Is there anything more zen than ocean bouldering? maybe lake ice bouldering. maybe forest bouldering. maybe cabin bouldering. hard to say which is best, or more zen. mountainz wrote: Is there anything more zen than ocean bouldering? 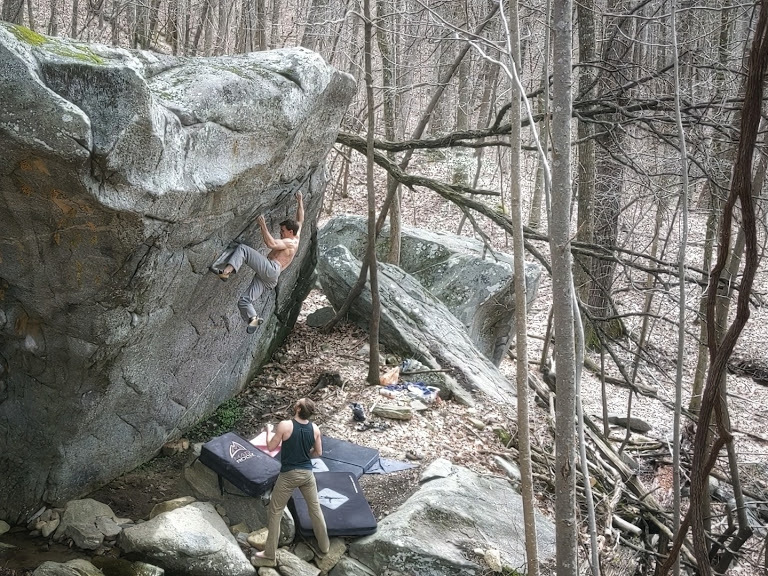 Bouldering during snow flurries next to a lake that was frozen until a few days earlier is pretty close. Banging out married moms ... by the ocean. Off the couch. Off the deck. Last edited by mountainz on Sun Mar 10, 2019 11:03 am, edited 2 times in total. i found sandstone 15 min from our house, which is near the gunks. so now i force jeezer to go to this sandstone zone and fa sick blocks. v2+ ish. As much as I want to slag y'all off by casually mentioning that my wife is dragging me to Franchard Istasis tomorrow after work... I gotta say that rock looks rad Porch and your FAs are envious Criz. asdf.